Now that we have had a chance to answer the question, "What is a mutual fund? ", it's time to go further and talk about the mutual fund expense ratio. But what is a mutual fund expense ratio, exactly, and what makes up the costs it includes? Glad you asked! Even though this is one of those topics that might seem boring, it's worth paying attention because the consequences are real. The short answer: In the world of mutual fund investments, costs are measured by the mutual fund expense ratio. All mutual funds must, by law and in a manner prescribed by the Securities and Exchange Commission, disclose the expense ratio to existing and potential investors. This is a fee paid to the portfolio management company for investing the money according to a mandate determined by the fund's board of directors. The management fee is often the biggest component cost of a mutual fund expense ratio. A typical management fee might run from 0.50% to as high as 2.00%. Generally speaking, the lower the fee, the better for the investor because every penny you pay for management is a penny that is not compounding for your wealth though this is not always accurate (though it is far beyond the scope of this article, there are times when focusing solely on fees can result in much more damage to your net worth in the long-run). Mutual fund companies tend to charge more for certain types of fees; e.g., a global or international mutual fund is going to be costlier than a domestic mutual fund but the higher costs are justified. Frictional Expenses Such as Transaction Costs: A mutual fund must pay stock brokers a commission just as do individual investors; albeit, the rates are more like 1¢ a share or less. Funds that have high turnover - that is, they are always buying and selling investments - often generate far higher transaction costs, increasing the mutual fund expense ratio. In addition, high turnover in a fund's investment portfolio can generate higher capital gains taxes and other expenses. Custody Costs: Mutual fund companies are required to have their investments held by a custodian bank. These banks are responsible for registering the stocks, bonds, or other securities on behalf of the fund, in some cases electronically and in others possessing physical stock certificates in vaults, collect dividend or interest income, deal with corporate events such as stock splits, and maintain cost accounting on the positions so gain and loss information can be quickly accessed by management. The custody costs are fairly small as a percentage of the mutual fund expense ratio. 12b-1 Marketing Fees: These annual marketing and advertising fees are taken from fund shareholders and used to promote the fund for the purpose of raising money. The more money the fund has, the more money the portfolio managers make from their management fee. A 12b-1 fee does absolutely nothing for you as an investor once a fund is over, say, $100 million in net assets. 12b-1 marketing fees are added to the mutual fund expense ratio because they are cash right out of your pocket unless you hold your shares through one of the few brokers who refund these fees to investors. Legal Expenses: Mutual funds must file paperwork with the SEC and other regulators, file incorporation papers, get certain licenses, and many other things that require legal expertise. For most funds, legal expenses are a small part of the mutual fund expense ratio. Transfer Agent Fees: When a mutual fund shareholder buys or sells part of his investment in the fund, the transfer agent has to deal with the paperwork, money, and account statements. Transfer agents handle the day-to-day work of keeping records for shareholders who own the fund, processing redemption and purchase requests, and other responsibilities that are vital to the nuts-and-bolts functioning of the capital markets. 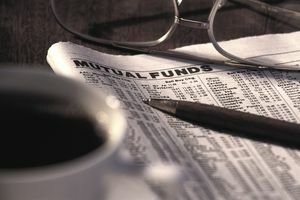 There could be other fees, costs, and expenses in the mutual fund expense ratio but, likely, the aggregation of the items in the list above are going to represent nearly all of the situations you come across in your investing life. Mutual Fund Sales Loads: A mutual fund sales load is nothing more than a commission that goes to the person or institution that convinced you to invest your money. If a mutual fund has a sales load of 5% and you invest $100,000, you immediately lose $5,000 of your investment and own only $95,000 worth of the fund. Mutual fund sales loads are almost always unnecessary and bad but there are a few cases where they may be acceptable. For example, some people may not save money or may panic and cash out of investments unless they have their hand held by a professional. If a sales load results in someone staying the course by developing a relationship with an adviser, it will be a relatively small annualized percentage of capital after 10, 20, or 30 years. Personally, I'd prefer a fee-based adviser that made money off of growing wealth for investors, not selling financial products. Mutual fund sales loads should be included in mutual fund expense ratios but they are not. The lesson in all of this is to pay attention to the mutual fund expense ratio. It represents real money coming directly out of your own pocket. If you are like many investors, you may decide to invest in a low-cost index fund due to the low expense ratio. It's not always the perfect solution - index funds have been quietly undergoing some major structural changes in the past few years that should give anyone who is paying attention serious cause for concern as they come to dominate the investment landscape - but they have their place. To learn more about how to invest in mutual funds, read The Complete Beginner's Guide to Investing in Mutual Funds, a special I put together that links to some of the best mutual fund content on the Investing for Beginners site. What Is a Mutual Fund Sales Load? How Do I Buy Shares of a Mutual Fund? How are mutual funds grouped together? Institutional Class? Investor Class? What Is the Difference? What Should You Know About Investing in Mutual Funds?